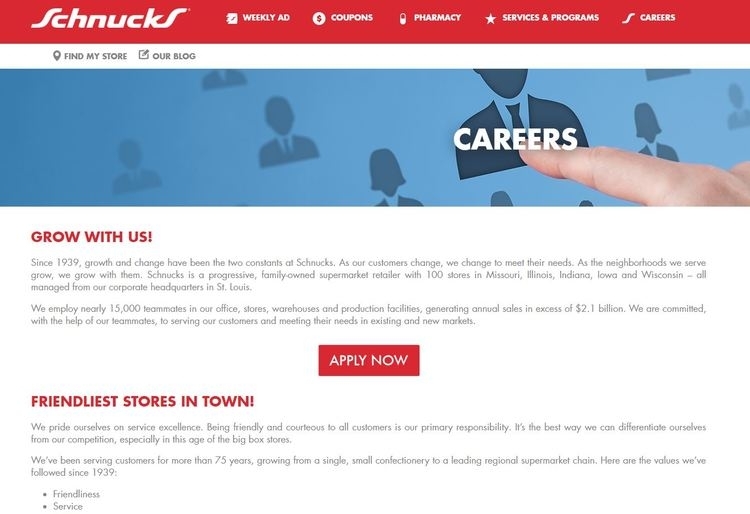 Go to the “Career” page of the Schnucks official website. The "Apply" button in red is placed in the middle of the page. You will not miss it when the page comes out. Click it and make the journey start. By clicking the Apply button, you actually come to the first step of the application process. 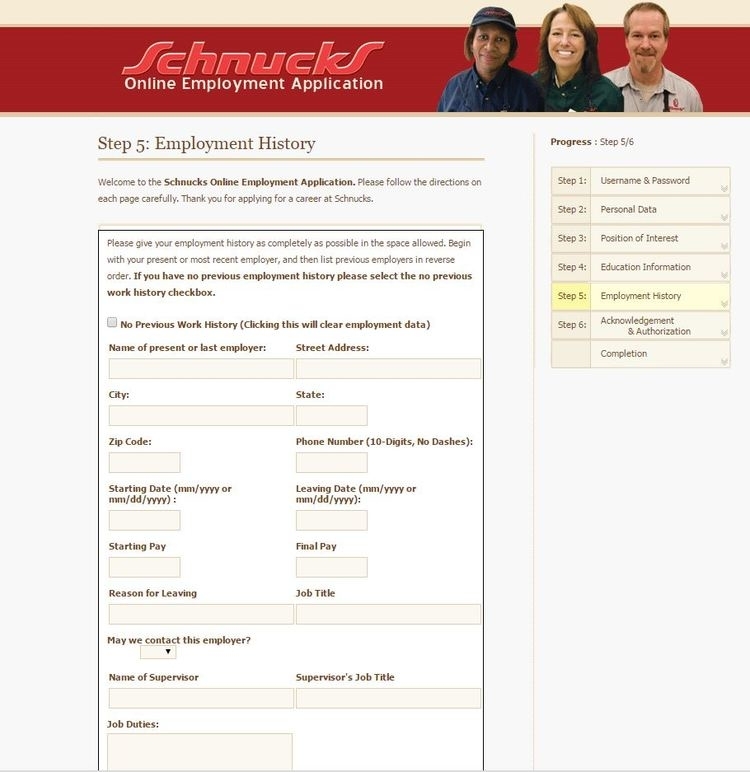 Being a user of the Schnucks website is a compulsory requirement for the online employment application. The first “click here” button is the access to create an account with your email address. After becoming a user, you need to verify by clicking the link sent to your email, then you can enter your email address as user name and your password to continue. Some of your personal information is required, and you have to answer all of the questions unless there is a different instruction. Your name, your address, your phone number, etc. There’s no need to worry about information leaking, your information will be safe in Schnucks. You can make clear your interest in a certain position, such as bakery clerk, deli clerk, cashier, and then choose the city or the area you’d like to work at. 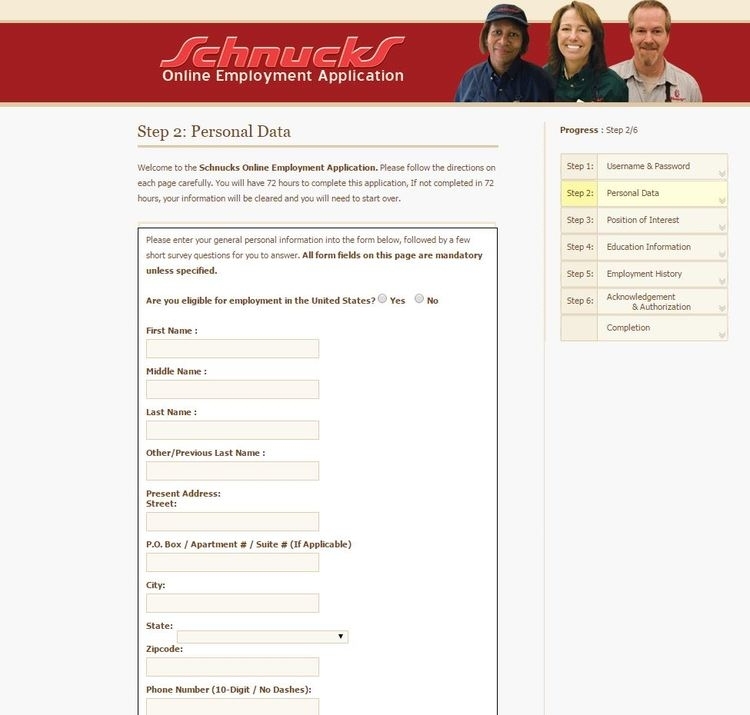 Besides, in order to find out whether or not you are available to work at the Schnucks stores, the employers set questions to know your time schedule. All store and food positions start as part-time only, so you need to work long enough to get over this phase. 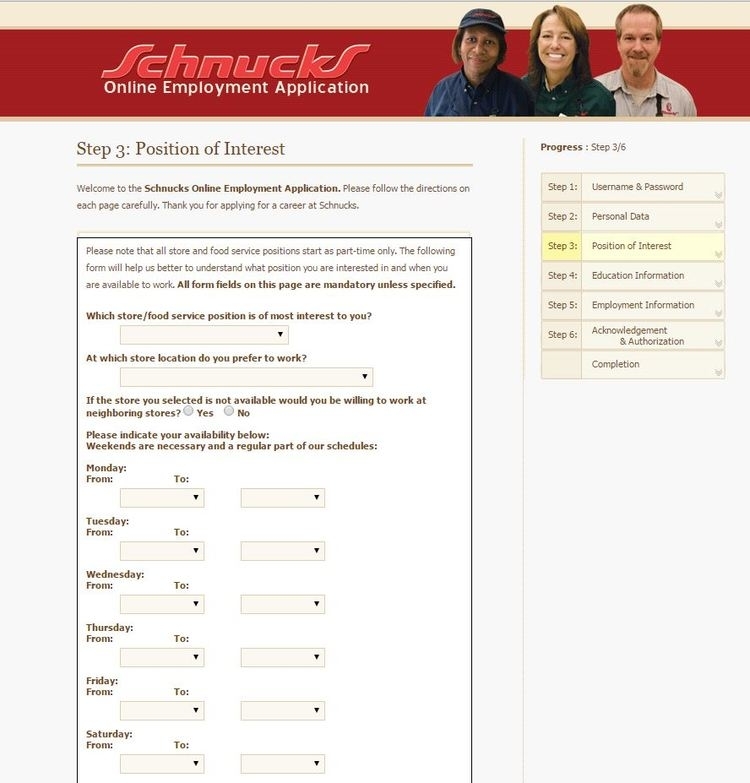 The minimum age to work at Schnucks is 16, and the employer would like to know if you have finished high school. If you have, you can provide your high school name. 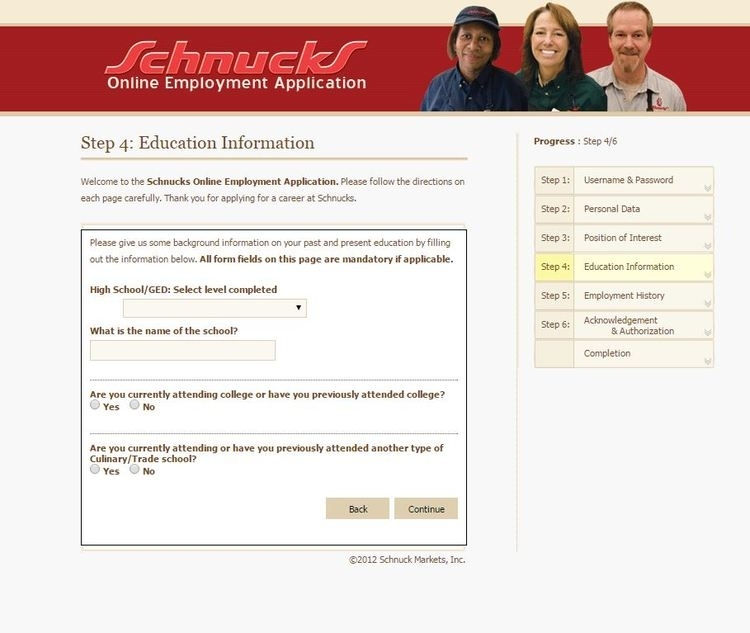 Schnucks would like to know if you have ever attended or are attending a college or trade school. Just choose your answer and come to next step. If you have never worked for any employer before, just choose “No Previous Work History” and the employment data will be cleared. If you have, you may begin with the most recent working experience. 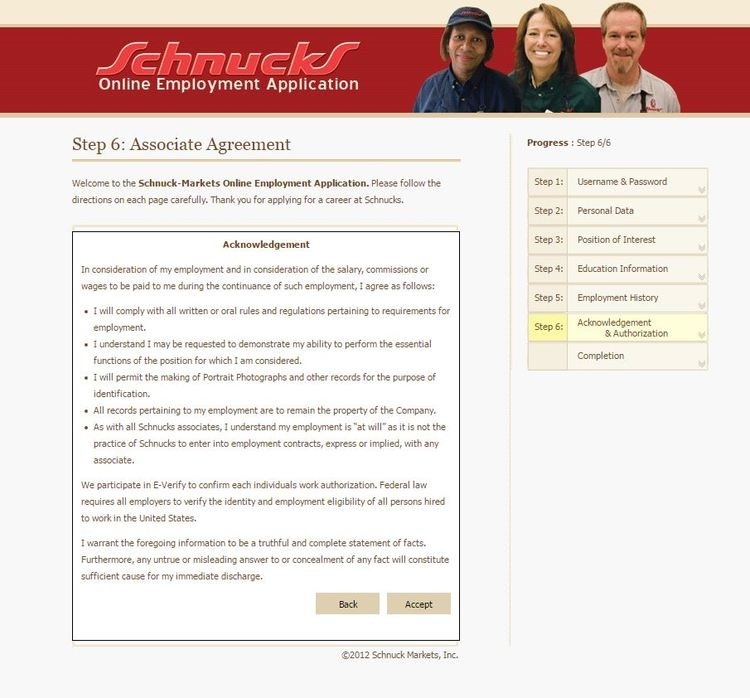 The required information includes the name of the employer, your working address, your starting date and leaving date, your first pay and your final pay, etc. You might as well read the items listed on this page carefully, and finish by clicking Accept button. You can make changes to the information you have filled in after 45 days. Just log in and get start. You are going to follow the applying procedure, beginning with personal data, and then position of interest, and so on. 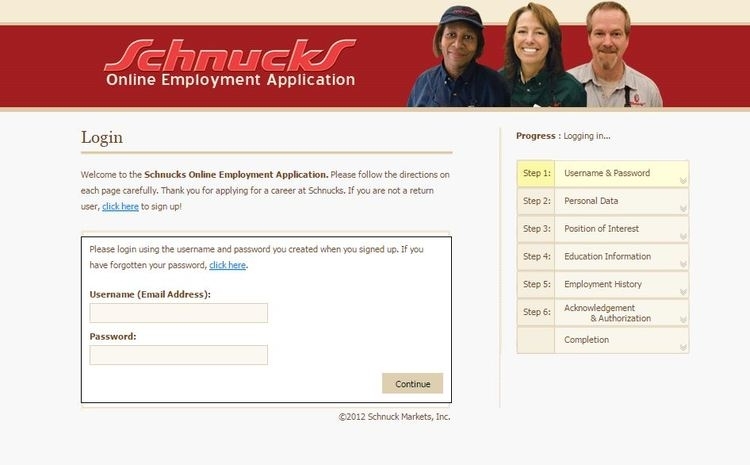 Click schnucks.com/careers to apply for Schnucks jobs online.